Vibe Smart Bike Lights - Effortless Bike Safety from Light & Motion on Vimeo. Not Far From Home - Destination North from Kona Bikes on Vimeo. Salsa Cycles Presents: Touching The Sun from Salsa Cycles on Vimeo. Roads Less Traveled Episode III // Overland from New Atlas on Vimeo. Roads Less Traveled Episode II // Rasputitsa from New Atlas on Vimeo. Video: Trailer for the test track launch at Kenda Tire's R&D center in North Canton, Ohio. Chocolate Spokes from Brendan Leonard on Vimeo. Reaching for the Sky Again from DeFeet on Vimeo. Skidsville from Diamondback Bicycles on Vimeo. An Epic New Zealand Cycling Adventure from Bike Chaser Pty Ltd on Vimeo. 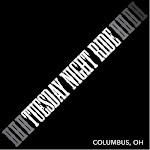 Riding North Trailer from the Mitchell Brothers (pfat pro) on Vimeo. Cycle Touring the Tibetan Plateau from Dave A on Vimeo. Fix the Iceland from krystof melka on Vimeo. Behind the scenes: Affinity Phil Wood Deluxe Cycles team edition wheel set. from Jason Gallacher on Vimeo. High Altitude Lines. A Yeti Tribe Story. from Yeti Cycles on Vimeo. Ben Weaver - Sees Like a River Tour from Ben Weaver on Vimeo. Cycle tour of Iceland. from crank & cog on Vimeo. Ferry County Rail Trail from Ferry County Rail Trail on Vimeo. Tall Bikes Will Save The World from Red Bull on Vimeo. The Mountain Bike Legacy Project from Rob K on Vimeo. Inspiration from a book claiming that only 3% of the US population has been on a train spurred discussion of a multi-modal trip using bikes, trains and cars. Last fall the discussions turned into a specific trip date, then logistics and reservations for trains, campgrounds, cabins and other rentals. In late June 2017 we headed to Glacier National Park. Here is our story in photos. We drove to Chicago Union Station, parked the cars and moved all the gear, including bicycles, to the train for a 30 hour train trip to East Glacier Park. We handed the bikes to the baggage workers who hung the bikes in the baggage car. Only six bikes were allowed per train. Christina and I had a roomette sleeper car for the trip. Picked up the train in Whitefish, MT for the trip back. Photos of our roundtrip train ride on Amtrak are below. In East Glacier Park we picked up our rental car to carry gear and checked into the Traveler's Rest Lodge. Once we got settled we decided to drive up to Two Medicine to see the lake and waterfalls. Photos of our sightseeing trip are below. 37 miles with 3200 ft climbing. We left East Glacier and headed northeast on 49 to 89. Climbed over multiple ridges and hit 6000 ft elevation twice. Lunch midway on top of the hill. The last downhill into St. Mary's was new chip and seal and we were passed by trucks and cars throwing gravel at us. Pit stop in St. Mary's for food and hydration and to regroup. Headwind on Going to the Sun Road to Rising Sun. We stayed overnight in a cabin at Rising Sun. Photos of our ride from East Glacier Park to Rising Sun are below. Once off the bikes we headed up Going to the Sun Road to see the sights. We stopped at Wild Goose Island, Sunrift Gorge, Baring Falls. Going to the Sun Road was only open to cars to Jackson Glacier Overlook where we turned around. Photos of our sightseeing trip are below. 42 miles with 3000 ft climbing. We headed out on bikes up Going to the Sun Road in hopes that Logan Pass was open. Indications from a lot of people was that the road was open. Along the way we stopped at Sunrift Gorge, St, Mary's Falls and continued past the road closure at Jackson Glacier. Craig saw a bear crossing the road! We stopped for lunch and coffee outside at Siyeh Bend where the wind was whipping around. The sun came out as we continued climbing to Logan Pass, The pass at 6600 ft. was windy and overcast. We dropped down the other side for the 20 mile downhill to Agpar/Fish Creek. About a quarter a way down we stopped to see Bill Ferriot riding up from the other side. Doug Fisher and I rode together and lost the main group. We stopped at Lake McDonald Lodge looking for them and continued on only to have them catch up. Chris and I stayed at Apgar Village Lodge on McDonald Creek. The National Park Service opened the road to car traffic the next day. Photos of our ride from Rising Sun to Apgar/Fish Creek are below. Chris and I decided to drive up to Waterton Lakes National Park in Canada on our day off the bike. We saw a number of mountain goats at Goat Lick, Mt​. We passed through CA customs and headed into town. All Canadian parks are free to celebrate their 150th Anniversary. We took the scenic boat ride across the lake to Goat Haunt, MT. Upon arrival we had to check through US Customs at a picnic table. Then we hiked 6 miles roundtrip to Kootenai Lake crossing a number of streams. We stopped for photos and snacks before our return trip. On the boat ride we crossed the 49th Parallel signifying the boundary between US and Canada. We saw a bear on the shore and a bald eagle on the return trip. We had lunch in town and drove up through fields of wildflowers to Red Rock Canyon. After hiking around we went down into the small canyon. I took off my shoes cooled off in the mountain stream. Chris was able to pet a bear and I was scared. Photos from our sightseeing trip to Waterton Lakes NP are below. 27 miles with 2300 ft climbing. We gathered everyone at Fish Creek Campground and headed up Inside North Fork Rd. which is closed to car traffic several miles from the entrance. Some of our group saw moose hanging out in a beaver pond. Two stream crossings were a fun challenge. A couple riding the three day bike packing loop from Whitefish were on the trail and we stopped to talk. Our group stayed in the North Fork Hostel and Chris and I slept in the Goat Chalet. Stopped into Polebridge Mercantile for snacks. After getting cleaned up we headed to Northern Lights restaurant for a great dinner. Some of our group stayed up late to watch stars. Photos of our ride from Apgar to Polebridge are below. 48 miles with 3200 ft climbing. We left the North Fork Hostel & Inn​ and headed to Polebridge Mercantile​ for breakfast and supplies. Half of our group headed back on the main route and I chose to ride the alternate route which took us up and over Red Meadow Pass at 5500ft. Before we hit the big climb we happened upon Larry who was in his 70's and was riding the entire Divide Route solo. We said goodbye and halfway up the climb a car honked at us. I turned to find it was my wife who decided to shadow us. We stopped for lunch at the top and Chris joined us. We left our remaining water for Larry. We bombed down the other side of the pass. As the route leveled out we ran into a group of bike campers from Japan. They were part of a story being developed by BICYCLING magazine​. Further down the mountain we stopped to talk to a couple who announced they were on an "engagement ride." He was waiting patiently for an answer while they camped that weekend. Off the mountain we hit pavement along the lake and ended the ride in Whitefish. We stayed at the Pine Lodge and Chris and I had dinner at 2nd Street Pizza. The next morning we boarded Amtrak back to Chicago. Photos from our ride from Polebridge to Whitefish are below. Simply Propelled: An Introduction from Dan Clark on Vimeo. Schley and Aaron Gwin Get Loose on "Mine Tailing"
Instruments of Adventure from Bjørn on Vimeo. White roads and red wines ( Tuscany Trail 2017 ) from Gianluca Ricceri on Vimeo. Flo from Springlab on Vimeo. I S O L A T I O N from UNFAZED on Vimeo. MONTANUS - TRAMONTANA from MONTANUS on Vimeo. 4 BIG PROBLEMS Of 1x10, 1x11, 1x12 Drivetrains. 1 By Drivetrain - THE TRUTH. SickBiker Review. Lost Coast North from LaceMine29.com on Vimeo. Ride. Run. Play. Episode 1 from DeFeet on Vimeo. The Thousand Year Journey: Oregon To Patagonia from Kenny Laubbacher on Vimeo. WHITEFISH. PROVEN HERE. from Yeti Cycles on Vimeo. Stokesville from Salsa Cycles on Vimeo. Maker Series - Dylan Menges from Making Midwest on Vimeo. Welcome to blackriver from blackriver on Vimeo. Tales On Tyres: Riding The Baja Divide from Bombtrack Bicycle Co. on Vimeo. No Ordinary Night Film Contest 2016/17 - The Winners from knog on Vimeo. Interview with Gary Fisher: eBike - The next big thing! Munda Biddi 2016 from Karen Kennedy on Vimeo. The worst road in Brazil: a South America Bicycle Touring Video from Amaya Williams on Vimeo. Pedal To Porch (Southwest Detroit) Trailer from Charles Ashley | Film on Vimeo. Space Horse Disc - Loaded Touring from All-City Cycles on Vimeo. Biketown is a celebration of cycling in Victoria, BC. A parody of Downtown by Macklemore & Ryan Lewis, Biketown features the people and places that make Victoria the cycling capital of Canada. Cycling the Indian Himalaya from Dirk HUYGHE on Vimeo. The Rider & The Wolf from Grit & Thistle Film Company on Vimeo. Components of Adventure: Scotland with Thomas Vanderham & Matt Hunter from Ride Shimano on Vimeo. BOMBTRACK AT THE TORINO-NICE RALLY 2016 from Bombtrack Bicycle Co. on Vimeo. Hmmm - Bird of Prey Bicycle? Old Skool x New School - Tom Ritchey from The Bicycle Academy on Vimeo. Jeff Speck: Four Road Diets from Cupola Media on Vimeo. Thereabouts 3: Discovering Colombia from CyclingTips on Vimeo. Outdoor industry CEOs joined OIA Executive Director Amy Roberts in signing this open letter urging President-elect Trump and Congress to keep public lands public. Read on to add your voice and amplify the message. This open letter expresses the view of more than 100 leaders of large and small businesses in the outdoor industry, which contributes more than $650 billion annually to the U.S. economy, generates $80 billion in tax revenue and employs more than 6 million people. Together, we represent a huge range of activities—from hiking to hunting and camping to conservation. Our businesses make the lives of everyday Americans, from every corner of the political spectrum, healthier and happier. We do not often unite as an industry in the way we are today but we are compelled to make clear our collective view on a vitally important issue that affects the economic health of our industry, our local communities, and the lives of all Americans. It is an American right to roam in our public lands. The people of the United States, today and tomorrow, share equally in the ownership of these majestic places. This powerful idea transcends party lines and sets our country apart from the rest of the world. That is why we strongly oppose any proposal, current or future, that devalues or compromises the integrity of our national public lands. Yet as the 115th Congress begins, efforts are underway that threaten to undermine over one hundred years of public investment, stewardship and enjoyment of our national public lands. Stated simply, these efforts would be bad for the American people. They include the potential of national public lands being privatized or given to states who might sell them to the highest bidder. This would unravel courageous efforts by leaders from across the political spectrum up to the present day, including Jefferson, Lincoln and Roosevelt. This is not a red or blue issue. It is an issue that affects our shared freedoms. Public lands should remain in public hands. We hold these views both as leaders of the outdoor industry — which creates significant economic value for this country — and as individuals who believe deeply that the next generation should be free to benefit from our national public lands as we and our families do today. The undersigned companies are therefore working together to ensure that all Americans maintain their right to our iconic national public lands and that it is not taken away.